Planning a birthday party in the Twin Cities can be quite the daunting task. There are so many things to do it can be hard to narrow down the best choices! If you have a group of kids it can be hard to find an activity that everyone is going to enjoy – especially the birthday boy or girl! So we decided to put together our list of the top 5 birthday party activities available right here in the metro area. Water Park of America – the tallest indoor water park in the U.S. offers a variety of fun water slides, refreshing pools, indoor surfing and more. Minnesota Zoo – Spend a whole day viewing a variety of animals, check out a movie at the Imax theatre, and even listen to live, outdoor music in the summer months. Science Museum of Minnesota – With constantly changing exhibits, food courts, an Omnitheatre, and science labs for kids, the Science Museum is a great choice for a group of curious kids. Paintball at Splatball – Indoor paintball field located in downtown Minneapolis. Party room and observation area are great for parties. 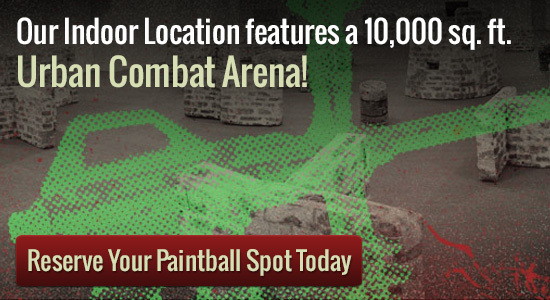 All paintball games at Splatball are low impact paintball, a version of paintball that features less ouch and more fun. Low impact paintball is perfect for younger players. No need to bring your own equipment as rentals are available. Make sure to ask about Birthday Party specials! If paintball is something you’re considering for your birthday party activities make sure to give Splatball a call at 612-378-0385 and we’ll be happy to answer any questions you may have about planning a paintball party. Groups of any size can make reservations for a private party. We also offer walk-on sessions daily. Make sure you mention that it is for a birthday party and receive Splatball’s birthday party free rental upgrades!